Sleep well friends, it is exam time. Yes you read it right and I meant it. It is a very common thing in a student’s life that exam time is a period where we get scared, anxious and tensed. What may be the reason? Actually, the reasons are many. Some would say that the Mark matters, some would say that the consistency in his/her Rank in the class matters, and some others would say that Expectation of parents and teachers matter. Sometimes even the assessment of other relatives and friends, who are more worried about our marks than our parents, also matter. It is a reality that until our education system goes on following its current path, it is basically our MARKS that take us forward through our education and this is what end up in anxiety and stress. Now that Exams and Marks are an inevitable reality of our student life, what is a possible solution to deal with it? Studying the daily portions, planning the revisions, preparing well in advance for the exams etc., would be some of the most common answers to this question. But sadly, we know that this concept is easily said than practiced. Due to many factors, there are situations where most of us are not able to do that on every subject taught in a day. As a result, we tend to sit and study till late night during exams. I too had the concept that getting the final touch on the exam portions, the previous late night, would help me remember things better and write the exam well. But, thanks to my parents, they just don’t allow me or my brother to do that. They literally take the books from our hands and put us to bed. At first, I was also annoyed since they were not allowing me to sit late in the night and study. But when I knew the secret behind this strange attitude, I was so thankful to them. A known person of our family slept during his 10th grade final exam and since all were busy with their own papers, no one noticed it. He had lost one year! That etched deeply in my mind. 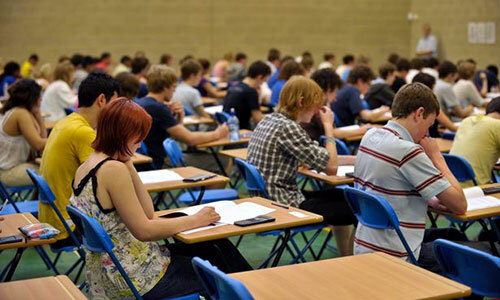 Have you noticed the ambience of an exam hall? Pin drop silence, in and around, and the full concentration is on the question papers, right? It is actually a clear green signal for our tired body and mind to shut down and go for a short nap. When every minute matters, just imagine, us falling asleep during the exam! A snoring sound echoing and disturbing the exam hall! Burning the midnight oil is never a solution for us delaying our daily studies. The significance of proper food and sleep, especially before the exams, is mostly neglected by many. Do you know that it is vital to make sure our brain gets enough rest to process all that we have learnt in a day? And this is achieved through a good and relaxed sleep through which we will have a fresh mind in the morning. This is far better than taking an exhausted mind to the examination hall, feeling tired and to worsen, falling asleep in the hall itself. On the other side, say we do not fall asleep; chances are that a tired mind can get confused easily. This can lead to many wrong choices and careless mistakes. We tend to forget answers which we learned just the previous night. Helplessness might creep within us because questions are so familiar but the answers just slip away from our mind. Retaining what we learned is more important than rushing through the untouched portions. For that we must have a clear and peaceful mind. To accomplish this, we must have a good sleep to give enough rest to the brain, process, retain and reproduce what we have studied. Even if we are not able to complete our portions the day before any exam, it is always better to have good food and sleep early than normal days. All through our life, whatever the situation might demand, we should never compromise on our sleep. Compromising our sleep might get the work done, but if the same work is done after a good sleep, it will take less time to complete and outcome will be a better one. So, eat healthy, sleep well and write your exams confidently. You will be surprised to see how well you can do the exam because it is done with the help of a fresh mind. Wish you all success in life.